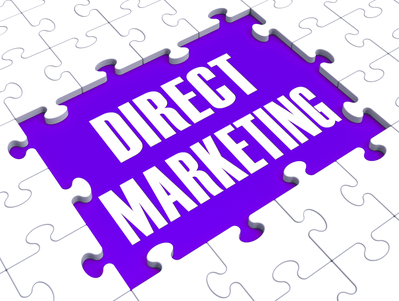 Direct marketing has traditionally been about one-size-fits-all, one-way messaging focused on calls-to-action that produce a transaction or lead to a conversion. This type of marketing monologue can exclude emotionally connecting with consumers and subsequently, creating valuable experiences that increase your ROI. Creating dialogue and personalizing direct marketing leads campaigns can have resounding effects, as Holotrope explains. Achieving actionable results don’t have to be your sole business victories. Expand upon your marketing goals to include customer emotional awareness and brand engagement. Tailor your content, rather than blast your content, to attract targeted consumers into profitable leads. A 2013 Econsultancy and Monetate survey revealed that 94 percent of businesses agree that personalization affects present and future success. For 66 percent of the client-side respondents and 65 percent of agency respondents, improved customer experiences and business performance drove the need to deliver personalized consumer experiences. Personalized online experiences, specifically, using current behavioral data were noted to increase sales on an average by 19 percent. Here’s why you should personalize your next direct marketing campaign. • Ensure your website is user and mobile-friendly. Consumers access information, products and services from their portable digital devices, and therefore you need to be accessible as well as available. • Clarify and help site visitors navigate your calls-to action. For example, make sure that you guide customers to make a purchase in a way that’s clear and visible. • Feature content such as blog posts, videos or photos that are customized to meet customer needs and wants. • Invite customers to provide feedback through reviews or a comments section and personally respond. When was the last time you received a handwritten letter? Opening a letter in the mail that was handwritten from a friend, as opposed to a Facebook message or email, can be refreshingly heartwarming. Even a phone call can be an old-fashioned, yet genuine way to reconnect. The more archaic a certain form of communication becomes, the more of a novelty it can be. For businesses, as long as you’re using relevant, niche marketing lists of audiences who directly relate to your campaign, telemarketing provides connections on personal levels. During a Web video on a Lenovo laptop or phone call via an Apple iPhone, you can rely on facial expressions and voice tone to pitch your sale and guide the customer toward a purchase. Personalized recommendations in marketing emails can boost sales conversion rates by 15 to 25 percent and click-through rates by 25 to 35 percent, according to ExactTarget.com. Use coupon codes, links to site content, and special offers that align with the interests of your customers. Eloqua adds that personalized subject lines and details such as the recipients name and location can enhance an email’s performance. Overall, keep your marketing emails simple, consistent, segmented, and focused on the customer.